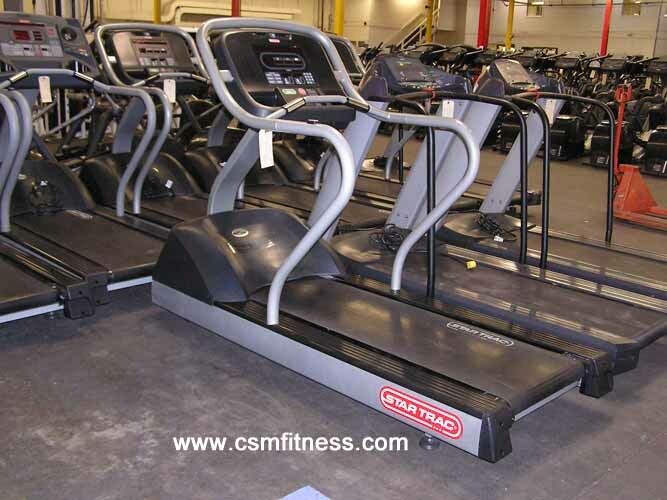 The E-TR Treadmill is incorporated in Star Trac’s Entertainment series line. It provides users with the options of adding state-of-the art entertainment functions including a 15” personal viewing screen and integrated entertainment controls. Its User-Friendly console includes a motivational track, personal cooling fans, and a digital heart rate display. Additionally, it incorporates the patented Soft Trac triple cell cushioning system which reduces any discomfort to its user’s joints during a workout. With a maximum speed range of 15mph and an incline range of 15%, the Star Trac E-TR was built to accommodate a variety of users ranging from light joggers to dedicated runners.